This pretty little sea treasure found by me while on a walk on the beach. 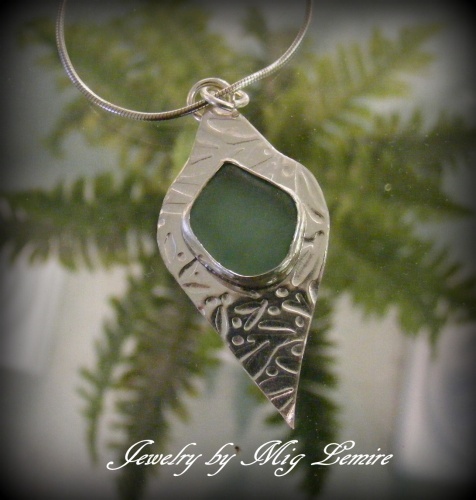 The authentic seaglass is framed on a pretty sterling silver and hand textured backplate. Measures an 1 1/2 long and comes with a sterling silver chain.